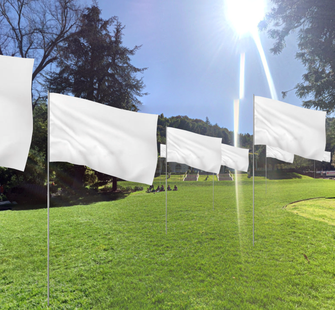 For 2018, Montalvo's Art on the Grounds program features three newly-commissioned works by Lucas Artists Fellows: an innovative sonic journey of a woodland trail, a communally planted peace garden, and a large-scale art installation. The opening outdoor festival, We the People, which will be the official debut of these three works, will also include a showcase of poetry and performance. It will be held July 20. Admission is free. 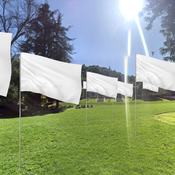 The group of Fellows whose new work will be installed on Montalvo’s historic campus for Art on the Grounds includes acclaimed Brazilian artist Marilá Dardot; one of the most significant artists to emerge from post-Revolutionary Cuba, Maria Magdalena Campos-Pons; and award-winning US composer Howard Hersh. 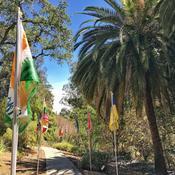 In her first exhibition in the United States, Brazilian artist Marilá Dardot will premiere a new large-scale installation work featuring flags created by first generation immigrants living the South Bay. In this new work, Dardot will amplify the voices and experiences of San Jose’s varied immigrant communities, and honor the challenges of their experience in the context of a divisive national conversation about immigrants and American identity. 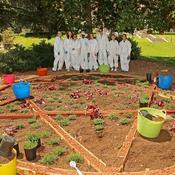 Campos-Pons’s communal performance will result in a new peace garden for Montalvo. The garden layout will be based on a scaled-down version of a floor plan from a typical Bay Area home combined with elements drawn from an aerial photograph of Soviet medium-range ballistic missile installations taken during the Cuban Missile Crisis of 1962. Hersh will premiere his new sound work Four Bridges, which uses geolocation technology to create a sonic journey through earbuds of smartphones. 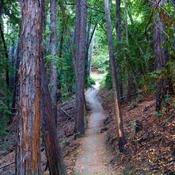 Celebrating the beauty, mystery, and magic of the forest, the tour will lead hikers through Montalvo’s redwood canyons and oak-lined meadows. All of these new works pose questions about the meaning of identity and it relationship to place, and explore how the politics of mobility are always entangled in the politics of difference; an observation that continues to resonate in the current moment. These works will be on view to the public for free, Monday through Sunday.